Alicia Vikander as Lara Croft in Tomb Raider. For action movie fans, the early months of 2018 belonged to two movies: Black Panther and Avengers: Endgame. So you’d be forgiven for blanking on the most recent Tomb Raider adaptation, starring Oscar winner Alicia Vikander, which came out in March. It wasn’t a bad movie—it just wasn’t all that memorable. But Hollywood’s still hoping audiences want more. 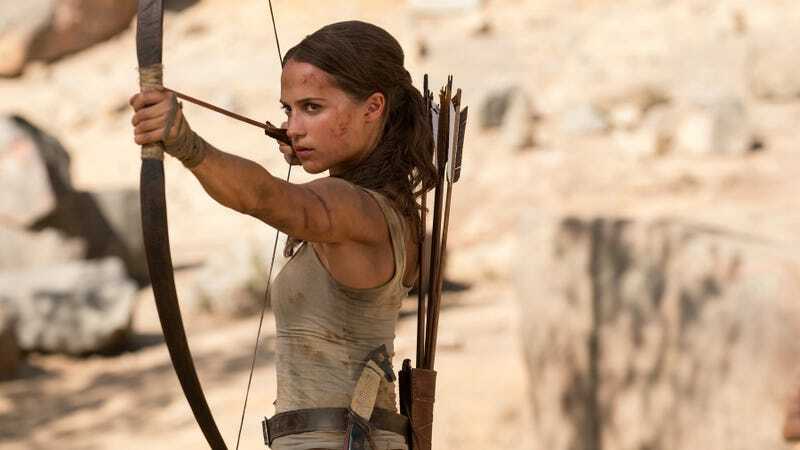 Deadline reports that a script for Tomb Raider 2 is in the works from writer Amy Jump, best-known for her collaborations with director Ben Wheatley (Kill List, Sightseers, A Field in England, High-Rise, and Free Fire), adding that Vikander—who would presumably reprise her role as the globe-trotting Lara Croft—is on board with Jump’s take on the material.